NEW YORK (November 19, 2018) –FlightSafety International introduces its new Evolution 360 direct-view dome display. This new innovative dome features LED or laser light source projectors that provide bright, high contrast, dynamic scenes at a scalable resolution up to 2.0 arcmin/optical line pair (OLP). 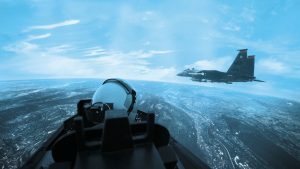 This extreme resolution paired with a very high frame-rate of 120Hz provides an unequaled realistic training experience at fast jet speeds. This exceptional new training platform is ideal for target recognition and other tactical applications. The vertically integrated system leverages the power of the VITAL 1100 Image Generator and fully stimulates night vision goggles (NVG). It also offers a fast auto-alignment system to minimize setup and projector maintenance time, an integrated head-up display (HUD) without additional projectors when equipped with a FlightSafety Vital Image Generator or other compatible IG. The dome can be equipped with the VITAL Distributed Mission Operations (DMO) Interface allowing full participation in DMO or other interoperable training exercises. With the VITAL 1100 Image Generator the platform capabilities include a detailed worldwide database and extensive library of DMO/Interoperable ready models. 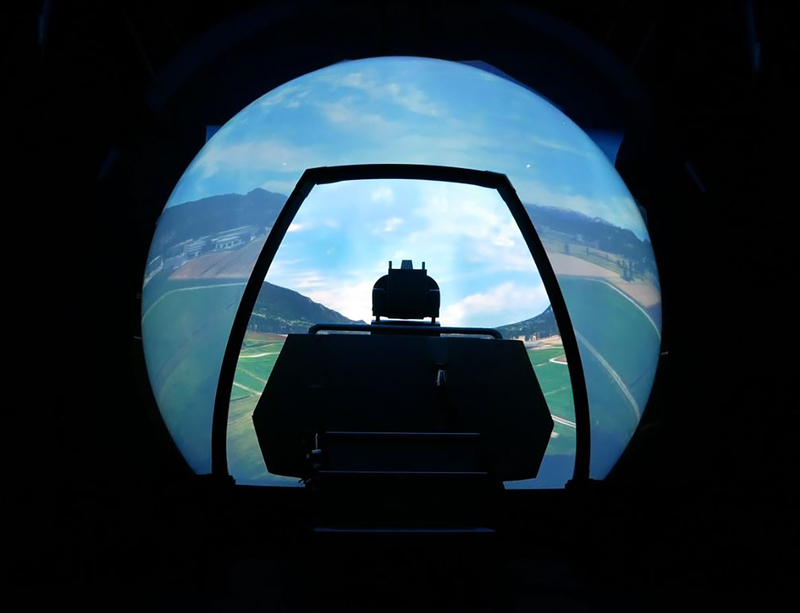 Mixed Reality and Virtual Reality connected stations are also available which provide additional training options with immersive instructor viewing and participation. FlightSafety is recognized around the world as a leader in the design and manufacture of visual systems and displays. FlightSafety’s innovative manufacturing processes and unique capabilities have yielded the CrewView glass display, industry leading Back Projection Screens, and now the Evolution 360 Dome Display System. The unprecedented fidelity and levels of detail offered by the Evolution 360 and FlightSafety VITAL 1100 visual system significantly enhance training. The Evolution 360 Dome will be featured at the FlightSafety booth (#1401) during the upcoming Interservice/Industry Training, Simulation and Education Conference (I/ITSEC) in Orlando, Florida.